Due my journalism and blogger background, long before I had heard of SEO, I was involved and knew many people in this industry. Those who know the area of where I work, quite often have questions or want to hire me. But sometimes they just need a simple answer and won’t really need a consultant. For those who can’t afford or don’t know if they actually need a specialist to undertake SEO for them, here are some basic steps to understand a bit of the marketing and technical sides of it. If you find a couple of problems, I will show you some options and easy, visual steps to overcome them. If you are still struggling with an issue or have come across a number of problems, that can’t easily be fixed, then you should consider hiring a specialist. All of the following are are free tools. This post aims to help people to to undertake some simple steps of an SEO audit and take action to improve organic traffic. It is also useful in case you just hired someone and would like to understand better what they are talking about or doing to your website. Without further ado, here are my favourite free SEO tools for bloggers and screenshots to know where to click and how it can improve your website. If you were to look at only one thing in your SEO, it should be links. It’s still the main factor for Google to decide which pages to rank. So in a very, very broad sense, a lot of links from blogs in your niche and trustable media outlets (websites from newspapers, radio and TV stations) will push you up. Here is where you can find a good set of websites linking to you. If you are blogging for a while, you will recognize some and be surprised finding other blogs you didn’t know that mentioned and linked to your website. You also have access to the most linked pages, which is a good thermometer to know what to do to attract more. Would you like to know what people type into Google when they found your blog? What I have to say is disappointing: Google only gives you a tiny set of these queries these days. But still, can help you a bit. You can also see the number of impressions (how many times people saw a result page and you were on the list), clicks and average position you appeared. It’s good to understand how people find you and to uncover new topics. For instance, you might rank for a query that you just mentioned in a blog post, but you could write a complete piece on that topic to satisfy readers in the future or eventually use in an anchor text to leverage related results in Google. This is valuable information and I will show you how to track it. 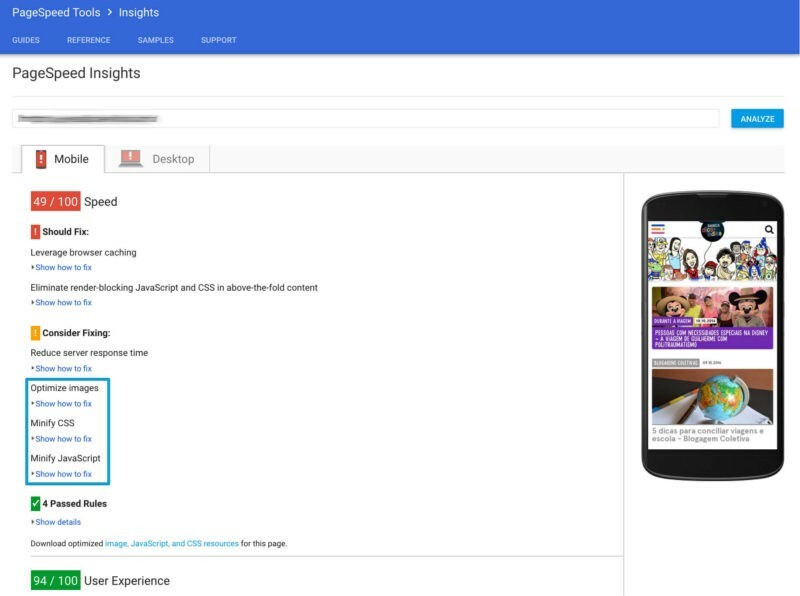 Also good to remember: Google Webmaster Tools or Search Analytics are the same. The name has changed, but the URL is still google.com/webmasters, so people use both terms. This tool grades websites on performance (speed) and provides feedback in where to improve a website. Although some aspects are technical, I frequently find two aspect affecting blogs that can be fixed without technical knowledge to quickly improve your score. It’s very common for bloggers to upload images on the size and format they were taken. So often readers are downloading images heavier than the necessary. This makes a website slower, request more data from a smartphone (which can cost more money) and in general, will make a website score lower in Google eyes. Simple solution: resize images on the size you need before publishing. Usually, you don’t need an image bigger than 800px. “Minify” is to remove unnecessary parts of a code, including comments written for a developer, block delimiters and extra spaces. I recommend two WordPress plugins that will do this for you (“Better WordPress Minify” and “Check and Enable GZIP compression“) just in a few clicks. Another tip here is to try one at the time and take a look if everything is loading properly in your website. If doesn’t, simply deactivate and remove the plugin. 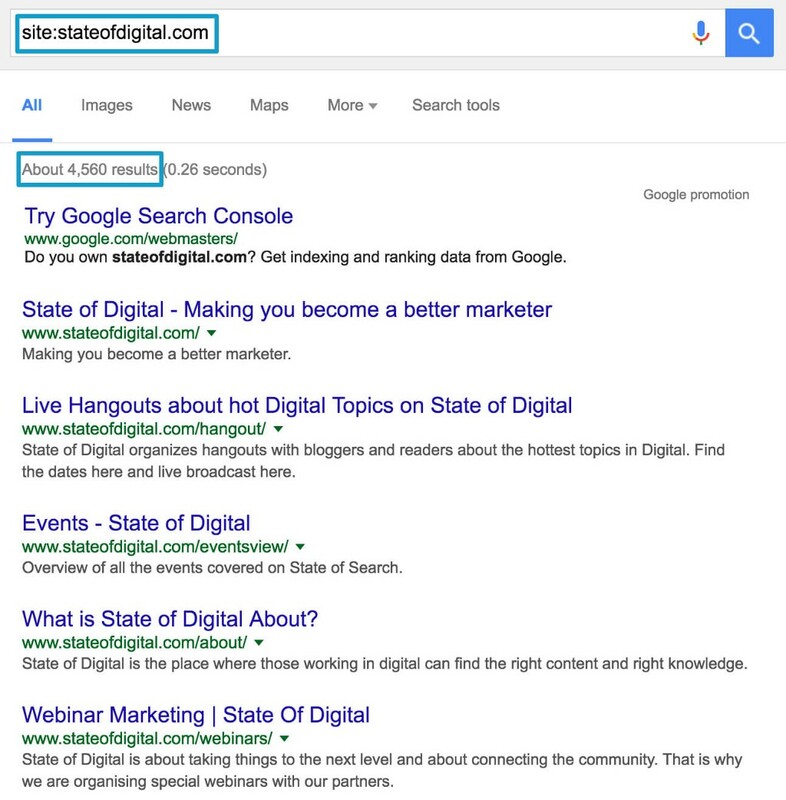 Remember that links are very important to rank on Google? If you knew when another website mention your blog or your name, you could just drop then a message and ask for a link, couldn’t you? 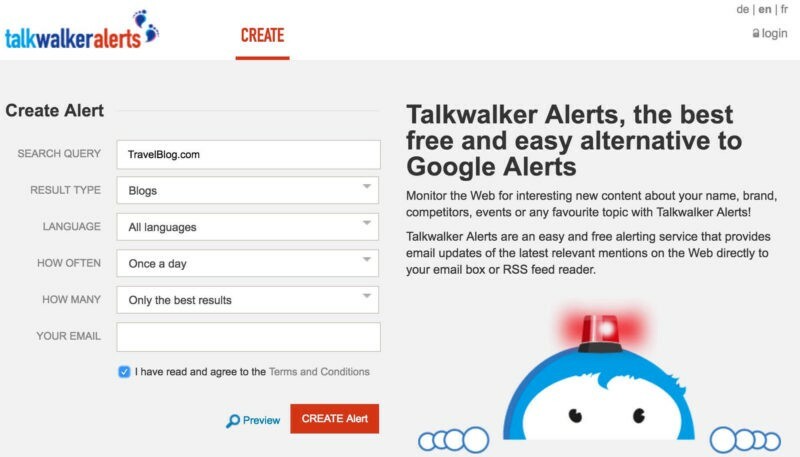 TalkWalker can inform you automatically via e-mail when this happens. It’s like a Google Alerts, but in my experience works faster and finds more relevant information. If you would follow just one piece of advice in this list, you should install Yoast SEO in your WordPress blog. It gives you a nice introduction to on-page factors, such as Title, Description, URL and a few others. 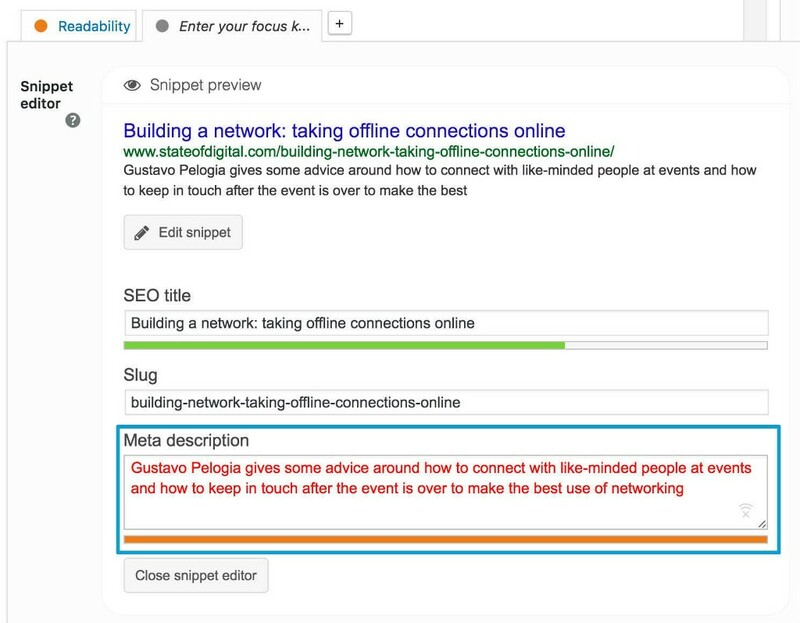 This plugin will read every post and provide a healthy checklist. Don’t freak out much if the keyword field doesn’t match with other points and leaves a red point. For instance, people are more used to search for “holiday tips Berlin”, but you would write “holiday tips in Berlin”, Yoast will trigger a non-match, but Google is smart enough to understand the match. The fact all points are green on Yoast won’t make your post rank, it’s really just a way to check. Always check when writing your titles and meta descriptions, so they are both “clean” in terms of search demand and keywords and fit the appropriate size. If not, the text will become red and alert you to amend. Wondering if Google already knows about the new blog post you wrote or an update you have made? Just type cache:domain.com/blog-post on Google. Normally a new page is found in a matter of hours (thats if your website has existed for a while and has at least a few links), but it could take longer to update the cache version. If it’s taking too long to re-crawl (it shouldn’t take more than a few weeks), you might be pushing too many pages to search engines. Sometimes developers and non-developers block search engines to visit a page or a certain area of a website. Do you want to know which pages of your website Googlebot can find? Just visit Google and type site site:domain.com. Try checking your own blog. It’s possible that you will get surprised about the number of pages Google has found on your blog. For instance, often you will find many ‘tag’ pages which don’t need to be ranking. In this case, Yoast has a quick solution for you: just take a look at the right menu and ‘Titles & Metas’. I have seen many cases where users just block pages, a section or an entire website by mistake. It’s a frequent mistake in case a page was a test environment previously. Also, you can use this to visit pages which were deleted or changed recently if it was live long enough to be found by Google. I won’t go into many of the things you can do because Google Analytics has several functions. 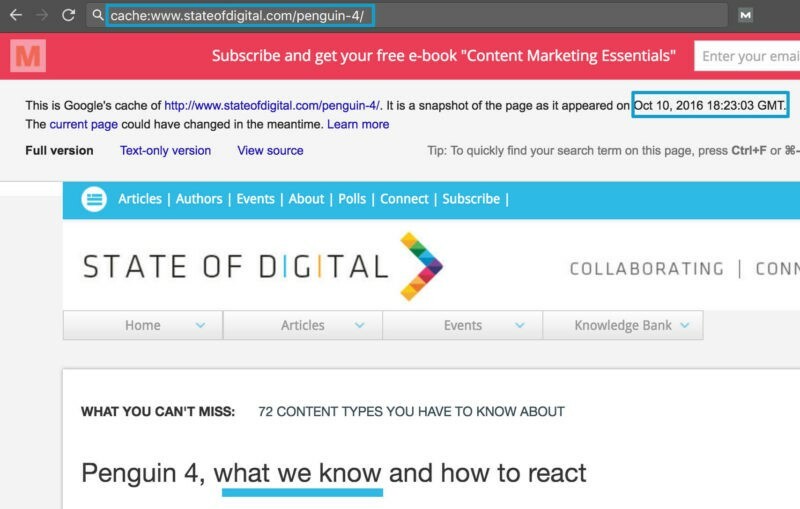 But from an SEO point of view, there are two basic tabs that can tell a lot about your audience. Both are under Acquisition in the left menu. 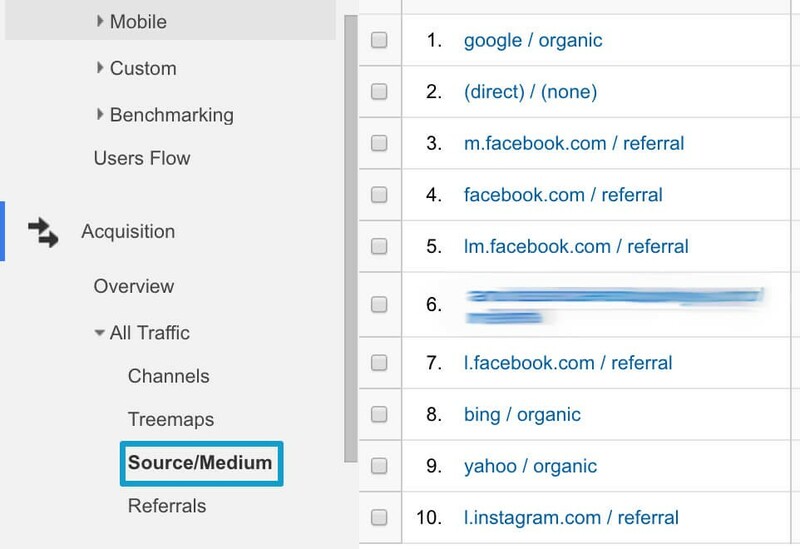 On Channels, you can see how people found your website (Search Engine, Direct, Social Media) and on Medium you have this data specified by specific source (Facebook, Google, Bing). No huge secrets here, but it’s just good to know which channels are more important for you. Maybe those hundreds of likes aren’t reflecting in people going to your website or maybe (potentially) you are heavily dependent on Google. 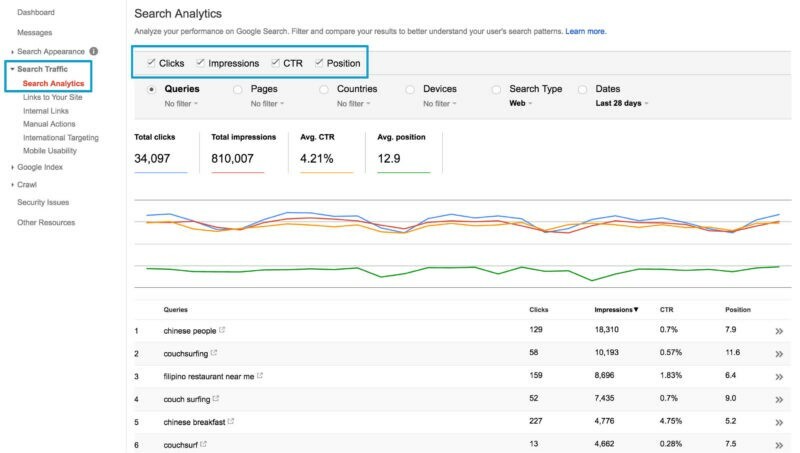 Maybe you found a few keywords that are very important for you while checking data from Search Console (point number 1 in this post). If you are curious, often you check how your page is doing on Google for this keyword. But when you have many keywords, that’s not possible. 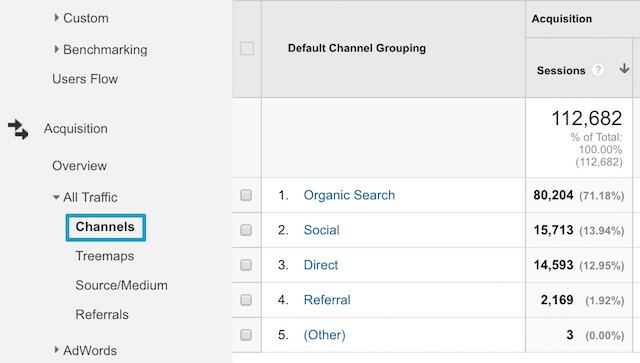 In this case, a keyword tracking would come handy, automating your manual work. There are many similar tools in the market, but two of them also provides free tracking if you only need to track a few keyword. RankScanner offers 5 free keywords per month, updated daily. Allorank gives 100 free credits per month, which could be converted to 3 keywords updated daily. Set up once and come whenever you have the time to check if things are in place or big changes happened. It’s not an easy task to explain a lot about SEO (or pretty much anything else in the world) in one blog post, but you can always build up your knowledge step by step. These steps are part of my activities as an SEO and starting with free tools is always a way to learn without pressure and validate if you actually need more complexity. If you still have questions about how to use any of those tools or other tools to suggest, leave a comment below and I will help you to advance and boost your audience! Originally published at www.stateofdigital.com on October 19, 2016. 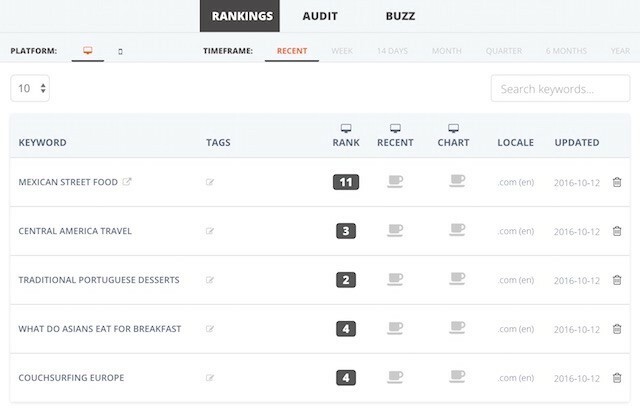 7 SEO Audit Steps for Bloggers Using Free Tools was originally published in gpelogia.com • Digital Marketing on Medium, where people are continuing the conversation by highlighting and responding to this story. This entry was posted in State of Digital. Bookmark the permalink.